Dougherty reflects on year of "absolute torture"
Nick Dougherty. Photo Eoin Clarke/www.golffile.ieNick Dougherty confessed that he could end up in the nuthouse if he reflects for too long on how poorly he’s played this year. 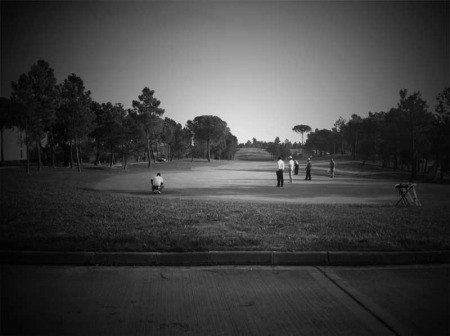 As bad as Waterville’s David Higgins felt about the four over 74 that left him needing a sub-par round on the Stadium Course at PGA Catalunya Resort today just to make the 72-hole cut, his frustration pales beside that of the 2002 Rookie of the year. Needless to say, the three-time European Tour winner is not expecting miracles as attempts to shoot a fourth round 64 just to make the cut at the Q-School in Spain. Six shots outside the top 70 on two over after a 75 on the Stadium Course at PGA Catalunya Resort, Dougherty said: “At this point I don’t have a huge amount of faith to be honest because why would it turn around for one day for me when it’s gone hideously bad all year. “At some point you’ve got to stop caring, but I just hope that’s soon because I can’t put up with doing this for much longer. “I need a huge break and everything to go my way and it hasn’t done once this year but maybe all my luck will go into one round. Dougherty made just one cut in 34 starts this term thanks to an opening 63 in the Omega European Masters. He will knows he will get invitations next season but reckons he’d give up the game if he had a repeat of this year’s nightmare. He said: “I had to come here, I know some guys haven’t in my position and I know that next year I should get plenty of invites based on what I have done in my career. But that’s not the way I go about things. I wanted to come here and play but I have to draw a line under it. Reflecting on his round, Dougherty added: “I played really well on the front nine and then I had a tough break, I’ve got a little bit of an ailment at the moment with my hip and it clicks and goes and when it does I’m lucky to make contact with the ball and it happened off the tee and made a bogey on the first, my tenth, and then I never really made a shot after that. “For tomorrow, there’s nothing I can do. If only it could come back in a day, that’s what you hope for when you’re playing week to week, that you’ll find a way somehow to take it back to how it was, but so far it hasn’t. “I’ve played a lot better this week than my score shows, everything’s gone against me but when you’re playing poorly, things go against you. I’m not sure why but that’s just how it’s going unfortunately and that’s all I can say apart from I’ll do my best, as I always do. Casual observers of the game will have little sympathy for a man who has earned more than €6m hitting a golf ball for a living. But Dougherty said: “People watch what you do and say, it’s still better than sitting in an office. Not from where I’m sat… it’s just been absolute torture all year. “There are some times when I do play good golf and it feels great but that doesn’t last for longer than a handful of holes. “For nine holes today I played phenomenal, I should have been nine under but still nothing went my way, I had two three putts to go one under (through nine). I missed two putts from inside eight feet for birdie but that’s the way it goes. 17th fairway at the Stadium CourseHiggins faces an easier task than Dougherty today but his confidence certainly took a hit in the third round as he slipped from 26th to 74th after a four over par 74. Starting on the back nine at the Tour Course, he birdied the par-three 11th but bogeyed the 12th and 13th and then followed a birdie two at the 14th with a double bogey six at the next. That signalled a black run for the former tour player, who dropped further shots at the fourth and fifth to slip to five over for the day before snatching back a stroke with a birdie at the sixth. 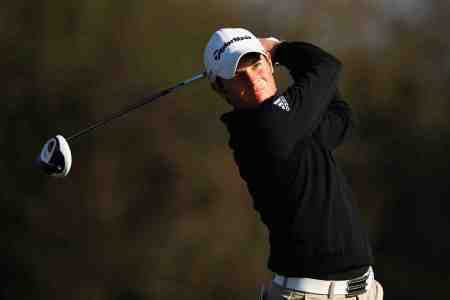 Chris Devlin was frustrated for the third day in a row as he ended up on three over after a 73 on the Stadium Course. Two over after eight holes, he got fought back with three birdies but three-putted the par-three 16th and dropped another shot at the last after bunkering his approach. Jonny Caldwell and Cian McNamara are playing for pride now after rounds of 76 and 73 on the Stadium Course. Ten shots outside the cut mark on eight over, Caldwell needs to shoot 59 for the second time in his life to make the cut. “I just could’t get anything to drop and it was trickier today,” Caldwell said. “I’ll give it a go tomorrow and see what happens. I shot 59 once on the Ava course at Clandeboye so I’ll need something similar to that. “Sometimes you do wonder why you turned pro but it could be worse, you could be in some office somewhere. Then you’d be wisher you were out playing golf. The positive is that I got here and I am glad to be back but my game is not in good shape this week. England’s Sam Hutsby. Picture ©Getty ImagesEngland’s Sam Hutsby fired a two under 68 on the Tour Course to remain on top of the leaderboard on 15 under but his overnight lead was halved and he’s just a shot clear of compatriot Andy Sullivan, who posted a 67. 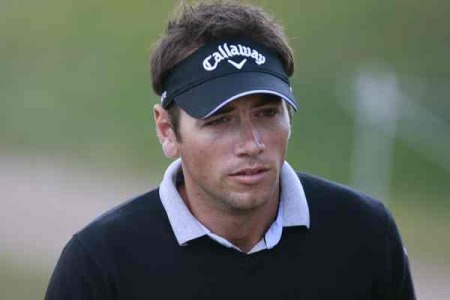 Were it not for a cold putter Hutsby’s advantage would have been greater, but he is still on course to complete a second successful visit to the Qualifying School, having finished runner-up behind his compatriot Simon Khan in 2009. He said: “I only missed two greens, but just couldn’t buy a putt. So I’m a little disappointed, because I felt I played well enough to break away a bit. But I’m still leading, so I would have taken that at the start of the day. My target is six rounds in the 60s, so that goal is still on. There are still three rounds to go, but I’m in a nice position. Sullivan, who played alongside Tom Lewis in Great Britain and Ireland’s triumphant 2011 Walker Cup team, mixed six birdies with three bogeys to move to 14 under par and within sight of claiming a European Tour card just three months after joining the professional ranks. The 25 year old, who boasted a 100 per cent record in the Foursomes at Royal Aberdeen Golf Club, is also determined to win his private duel with Hutsby. He said: “I think there is a nice little battle going on between myself and Sam. I don’t think we’d like to comment on it too much, but there’s definitely a bit of to and fro so it’s really good. We’ve played a couple of times together and been in squads together, so we know each other well enough. The English duo will be joined in the final group by Peter Gustafsson, who made the perfect start to his round of 66 with an eagle at the tenth hole. 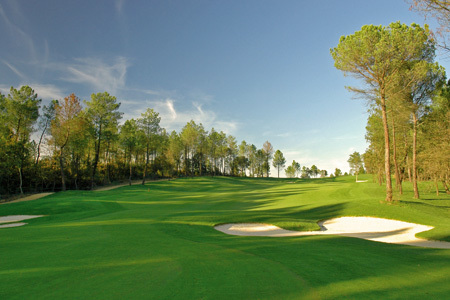 The Swede won the Qualifying School in 2004 but is yet to finish inside the top 30 in two previous visits to PGA Catalunya Resort, so is hoping to rectify that record this week. The following players have elected NOT to play round 4: Florian Praegant, Charles Edouard Russo, Martin Erlandsson, Alexandre Kaleka, Julian Etulain. Ben Crenshaw often used an old Texas expression to explain why struggling golfers shouldn’t try too hard change their games in the cauldron of battle.